For media enquiries, please contact me via the contact form. "As the number of people with dietary restrictions is growing, new ways of preparing food is needed. No Naughties shows that multiple food intolerances don't have to mean a boring diet." "We catch up with free-from expert Tarja Moles to chat about her new book No Naughties: Sweet treats without sugar, wheat, gluten and yeast..."
"We’ve just come across a recently launched book called No Naughties by Tarja Moles which we’d like to highly recommend... We’ve already made a few of the recipes ourselves and whilst we may be a little biased, because they used Total Sweet xylitol, they were delicious and it was hard to believe they didn’t contain any ‘naughties’." "... she has sought out clever techniques and a wide range of alternative ingredients. Now, with a little culinary ingenuity, she has devised recipes for chocolate profiteroles, biscuits, pancakes and even ice cream... Here are two of her recipes to try. They are proof that dishes can be 'free-from' and still taste wonderful." "Tarja Moles' new book is just as yummy as it sounds! Over 50 delicious sweet and wicked treats which really do not contain any sugar, wheat, gluten, yeast or peanuts and nearly all of which can also be made either dairy or lactose free! 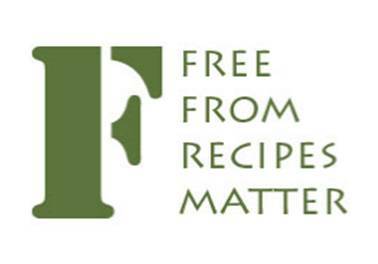 "For example, totally freefrom tiramisu, instant mango sorbet, profiteroles, chocolate and vanilla celebration cake, torta de banana, summer berry squares, pumpkin and rhubarb muffins...... And, what is even better, lots of good advice on working with unusual ingredients so that your biscuits will never be soggy and your cakes will never be rubbery!" "A Tavistock woman has released her latest book, aimed at keeping things sweet for those with dietary restrictions. 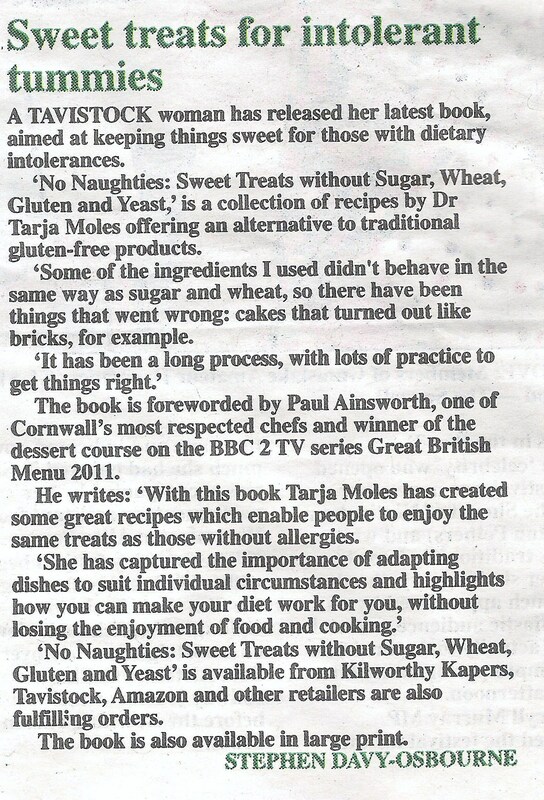 'No Naughties: Sweet treats without sugar, wheat, gluten and yeast' is a collection of recipes by Dr Tarja Moles offering an alternative to traditional gluten-free products." 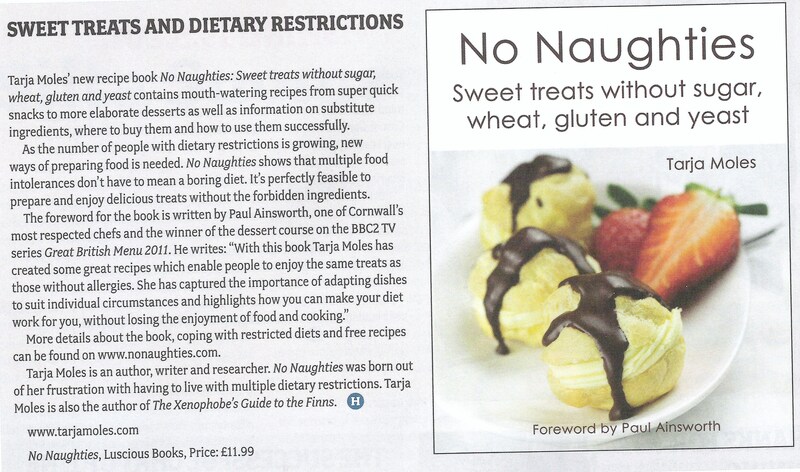 "I am very pleased to have been able to write the foreword for Tarja Moles’s new book No Naughties, which is bursting with allergy-friendly treat recipes. Tarja has come up with some excellent sugar, wheat, gluten and yeast-free recipes in her book, from banana bread to biscotti and pancakes to profiteroles. All the recipes have been adapted to those with allergies or intolerances so that everyone can enjoy her delicious treats."